Better, faster gear repair through chemistry. 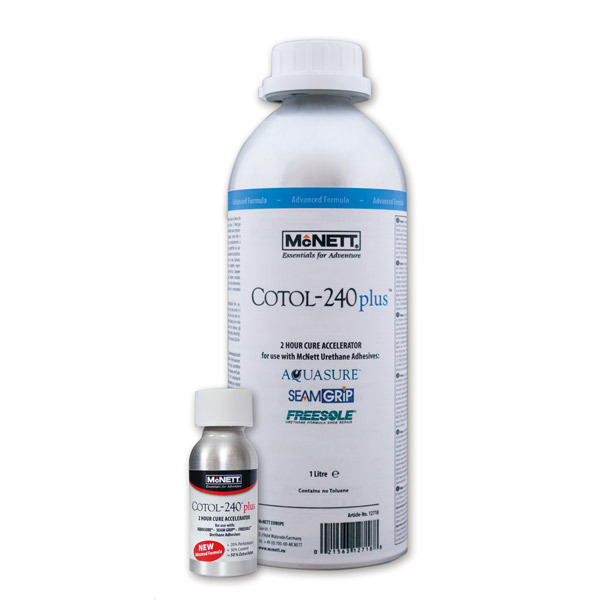 Cotol-240™plus makes urethane adhesives dry faster. 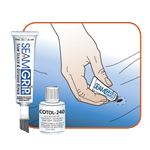 Use Cotol-240 plus with Seam Grip®, Aquasure® and Freesole® for fast, permanent repairs. 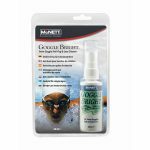 The solvent speeds the full cure time to less than two hours. 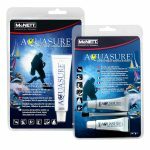 Cotol-240™ plus Cure Accelerator is part of the McNett GEAR AID™ product range. 1. Thoroughly mix 1 part cure accelerator with 4-5 parts adhesive with a stick, toothpick, or knife. Mix on a non-absorbent surface such as a plastic lid or plate. 2. Immediately apply the mixture to the damaged area. 3. Allow the repair to completely cure at least 2-4 hours before using. FOR COLOURS: Mix food coloring or paint colorant (available at paint stores) into the adhesive and cure accelerator before applying. CLEAN-UP: To remove adhesive from hands, use cloth soaked with paint thinner, nail polish remover or isopropyl alcohol. STORAGE: Cap tightly. Store in cool, dry place. 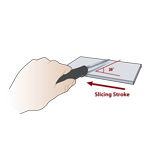 Use blister card package for storage. 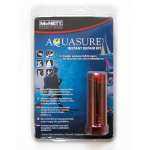 “Absolutely essential item if repairing wetsuits or drysuits with Aquaseal. 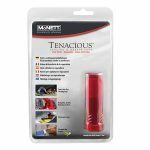 It thins out the Aquaseal so you can easily apply it with a brush and makes all repairs easy and professional looking.”– Kevin M.